Galveston, TX: County scammed out of $525,000, which was meant to be paid to a construction contractor. Scam is believed to be the result of someone who hacked into and hijacked an email correspondence for the legitimate payment. The FCC recommends a yearly cyber vulnerability assessment for all PSAPs. 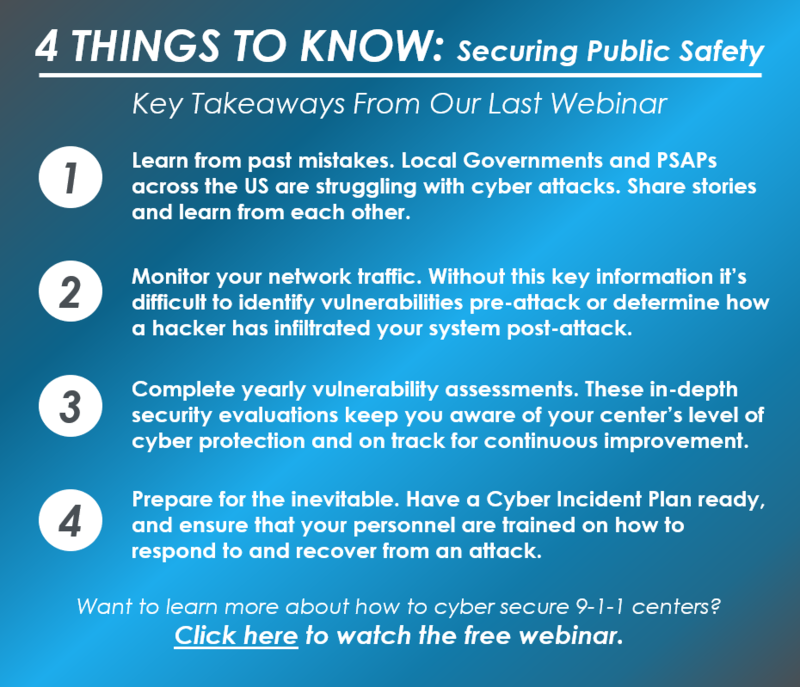 Public Safety, when was your center's cybersecurity last assessed? Come meet our team at Booth #1411!